Oh, 1000 Hands Playground… I can’t believe that I am just finding you! 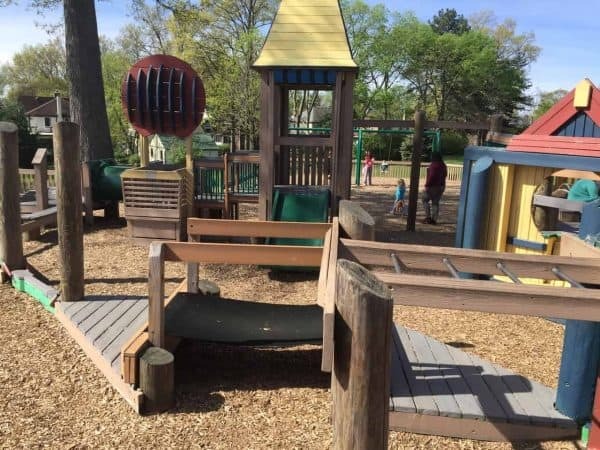 Located in Pleasant Ridge, this place is definitely a dream park for kids! 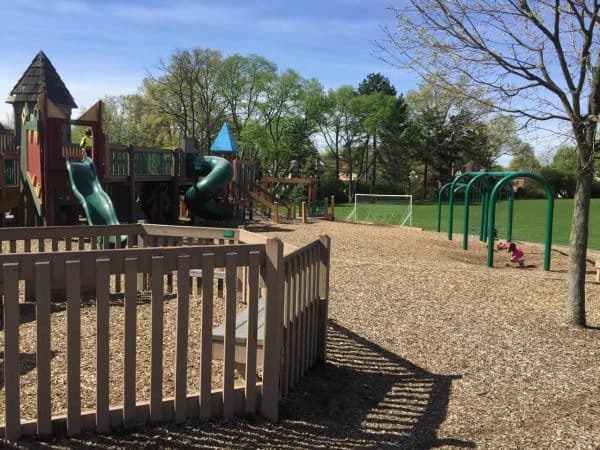 1000 Hands Playground has everything a child could want in a park. 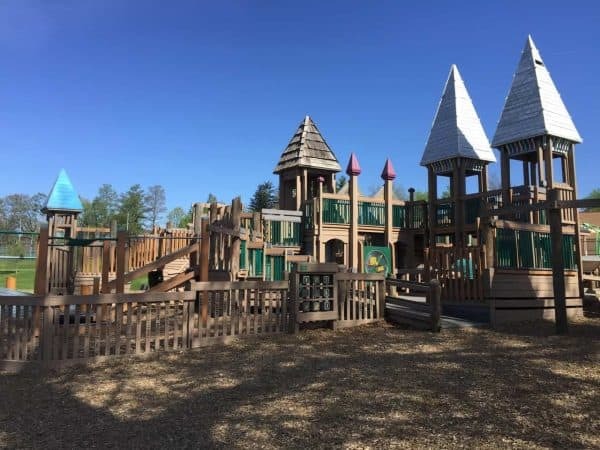 Built like a castle, the playground has all kinds of nooks and cubby holes for pretend play. Kids can bounce, slide, run, chase, and balance to their heart’s content! 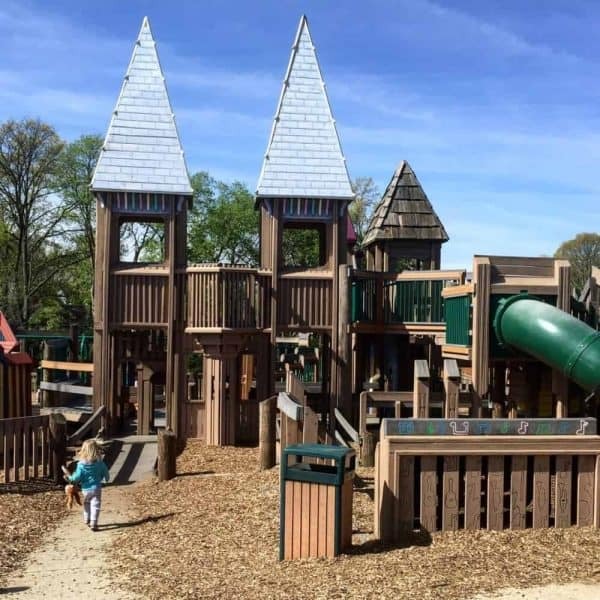 And parents will love that most of the climbing structures are easily accessible for an adult sized body. The playground features play areas for kids of all sizes. 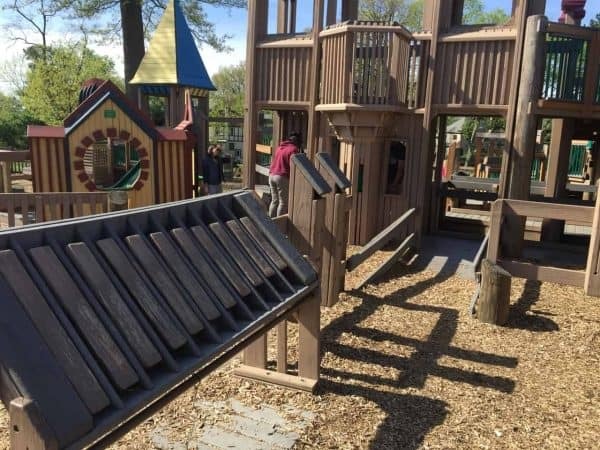 Part of the playground has structures that are just the right size for a toddler or pre-schooler. 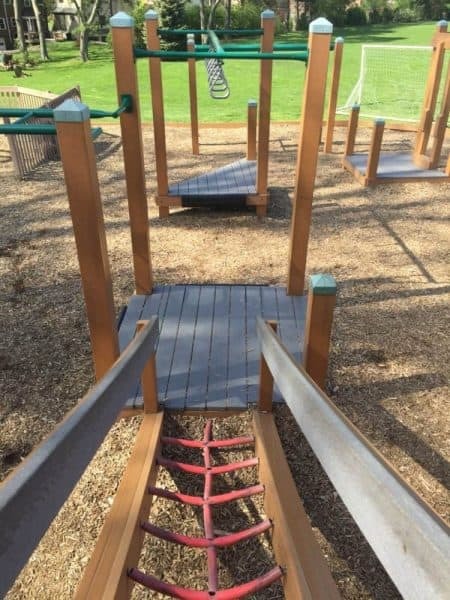 They have monkey bars perfectly sized for big kids. There’s even a section of the park that’s basically an outdoor room that’s nearly enclosed for parents with crawlers or “barely walkers” to play (with lots of bench space). There’s plenty of bench space throughout the playground. They do have some picnic tables and a few grills too. 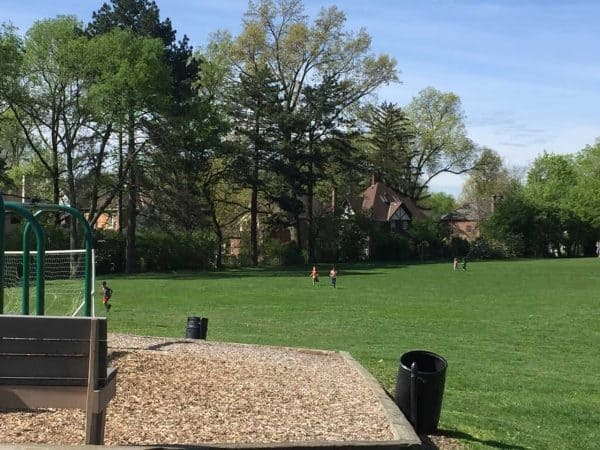 Surrounding the playground you’ll find lots of grassy fields. 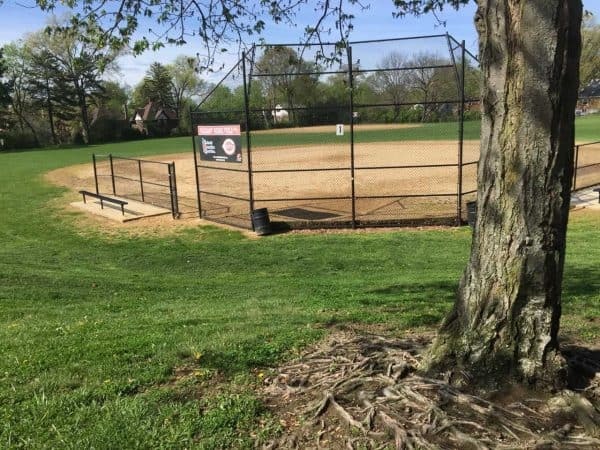 The surrounding park includes 5 tennis courts, an adult baseball field, a youth baseball field, and a soccer field. 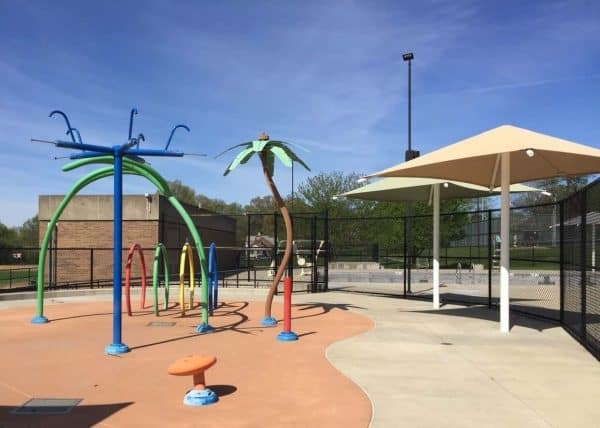 1000 Hands Playground is adjacent to the Pleasant Ridge Recreation Center. 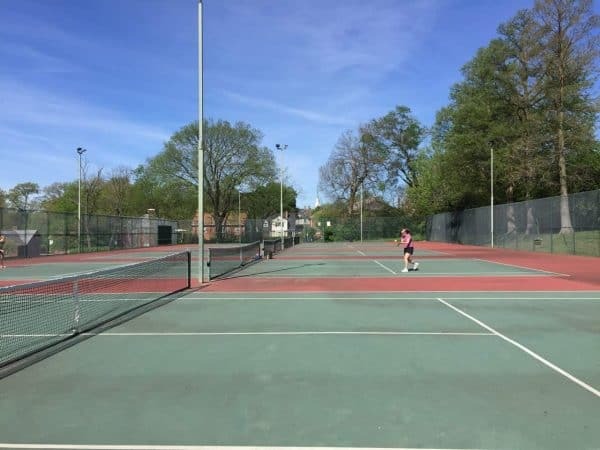 The Rec Center itself has indoor classes and activities including a fitness area and a gym. There is an outdoor deep water pool with a diving board and a shallow wading pool. There’s a sprinkler area as well. The Rec Center and the pool facilities do have an admission fee. They have restrooms inside at the Rec Center. I was not able to find any other restrooms. Please let me know if you know of some that I missed. 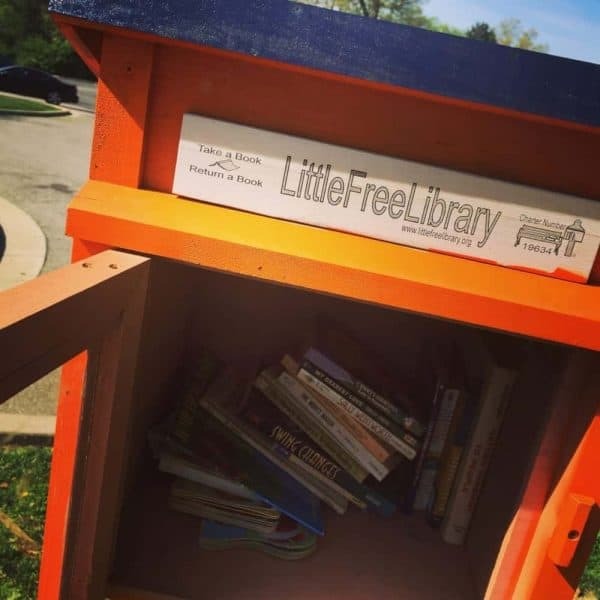 Be sure to look for the Little Lending Library at the edge of the playground! There are two more 1000 Hands in Cincinnati. One under the I471 bridge and the other at Dunham Recreation Center in Price Hill.